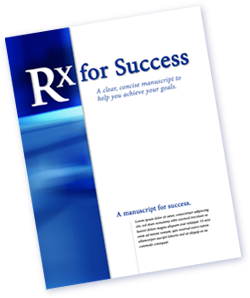 The price for the ebook version of Rx for Success is $2.00. A hard copied that will be mailed to you is available for $5.00 (includes $3.00 for shipping and handling in US and Canada). Please contact us if you would like to have Rx for Success Book shipped to another country. You can either pay with your Pay Pal account, or securely through Pay Pal with your Visa, Master Card, American Express or Discover Card. Just click the link on the left above the credit card logos. After payment click on "Return to Martivation.com" to be directed to a page to download your PDF version of Rx for Success. You will also receive an email with the link to download the book. The link is good for 72 hours after purchase. You will need Acrobat Reader to view the book.